Oh Ms. Buffay, Thank You for this and all your weird wisdom. 1. Ross loved Rachel since the 9th grade. 3. 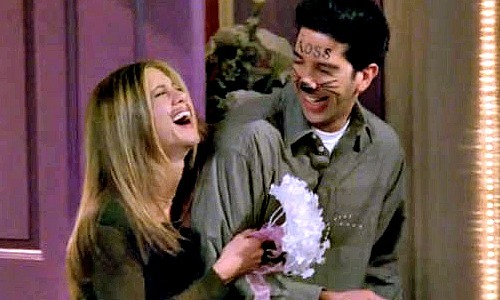 Ross planned his entire future with Rachel after only 6 weeks of actually dating her. 4. Ross got dressed and ready to take Rachel to prom when she thought her date stood her up. 5. Even after Ross “cheated,” you had to feel bad for him, because you realized just how sincerely in love he was with Rachel and how sorry he was. The scene that broke everyone’s heart into a thousand pieces. He later even lets her keep her favorite shirt of his, because he knows she likes to sleep in it. 6. 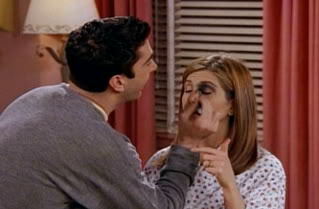 Ross cancelled a really important career night to be there for Rachel when she was in pain and in need of a hospital visit, he even helps her get dressed and do her makeup. 7. Ross and Rachel flirt at the beach house and kiss later that night, even though Ross has started to see Bonnie. 8. Ross stopped dating Rachel’s sister Jill, just so that there would be a chance for he and Rachel again in the future. 9. The jealousy of each others relationships…was pretty evident…Mark, Joshua, Paolo, Julie, Bonnie, Emily. 10. Rachel went to London to stop Ross’ wedding, but when she got there decided it wasn’t the right thing to do and supported him instead. 11. Ross said “I take thee Rachel.” in his wedding vows to Emily. 12. Ross & Rachel drunkenly got married in Vegas. 13. Ross lied about getting an annulment…he didn’t want to divorce Rachel. Ross smelt Rachel’s hair when he hugs her. Phoebe saw it as a sign and so did we. 14. 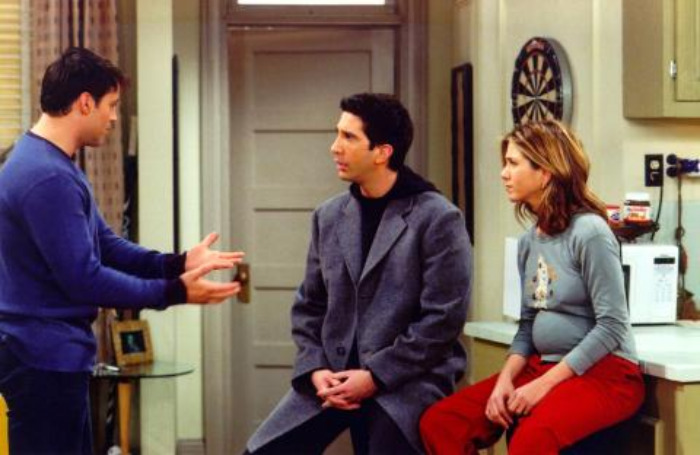 Ross tells Rachel she can live with him, when Monica and Chandler decide to move in together. 16. Ross planned his proposal for Rachel when they were dating…and reveals it years later when he and Rachel are at a family function pretending to be engaged because she is pregnant. 17. 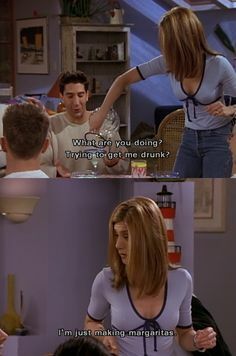 Ross guided Rachel through the mysteries of pregnancy. 18. Ross wanted Rachel to move in with him, when she was pregnant and after they had Emma in order to be closer to them. 19. During her pregnancy; Ross gave Rachel a special pager code, for her to use to get in touch with him. 20. Rachel and Ross have their baby Emma. 22. Ross’ reaction to Rachel & Joey’s “relationship” was perfect. 23. Ross doesn’t take advantage of a vulnerable Rachel when her father has a heart attack and she’s looking for comfort. 25. When Rachel is offered a job in Paris, Ross slyly tries to get her to stay. 26. Ross and Rachel fight about how hard it is going to be for Rachel to leave him. 27. Rachel gets off the plane. The roller coaster of why these two belong together was a hell of a lot of fun to watch, but I could have done without all the useless relationships and hookups in between them finally realizing they belonged together…but I guess that’s television for ya! UncategorizedFRIENDS, Lobsters, Phoebe Buffay, Rachel Green, Ross & Rachel, Ross Geller, She's Your Lobster, We Were On A Break!